Content created or uploaded to your My Media library can be downloaded. Open My Media from the “Other Tools” menu in Learn@UW-Stout. 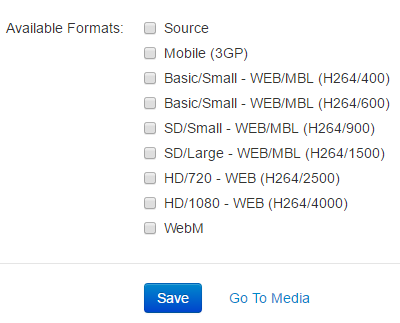 Select the "Edit" option of the media file you would like to download. Select the format and select "download"
Deleting a video from “My Media” will prevent others from viewing it in Learn@UW-Stout. Do not delete media until you are certain that it is no longer needed. Students are responsible for keeping the original videos. All media files may be deleted at the end of the semester. My Media is for academic purposes only. • Instructors and Students can share their My Media using an embed code. Instructors can share media in the News, Content, Discussions, Dropbox, and Quiz tools within Learn@UW-Stout using the Insert Stuff button. Students can share media in the Discussion and Dropbox tools within Learn@UW-Stout using the Insert Stuff button. 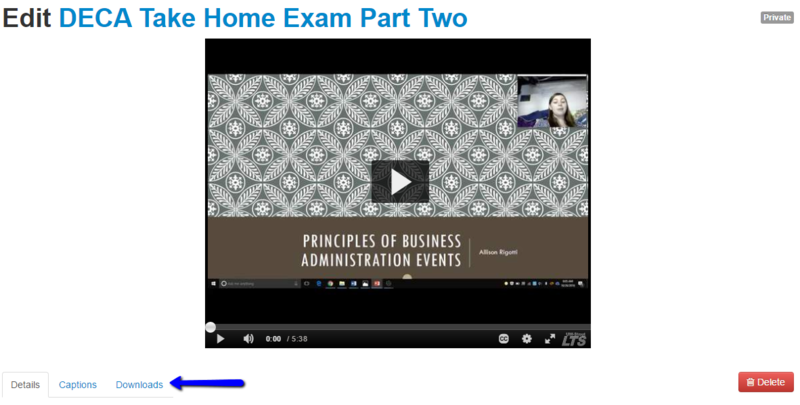 My Media can be embedded outside of Learn@UW-Stout using the share button.